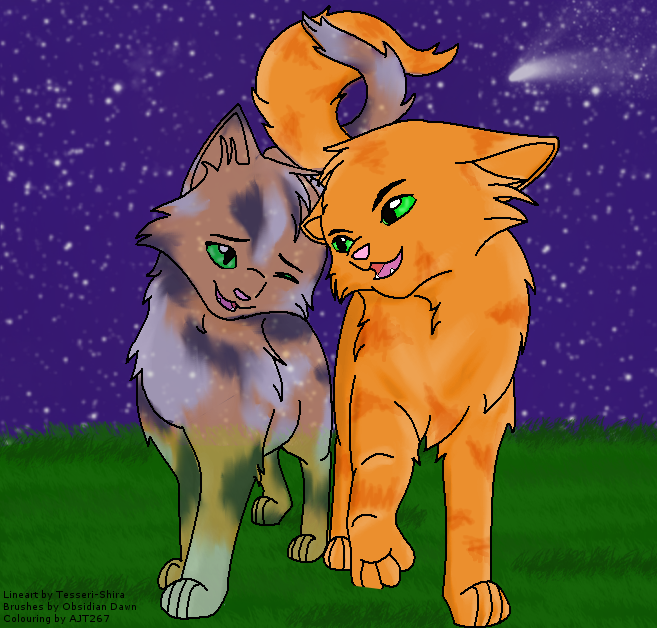 Firestar And Spottedleaf. Okay, technically, this isn't anime... but the picture looks like it... i just wanted to put it in for the Warrior fans on FanPop. 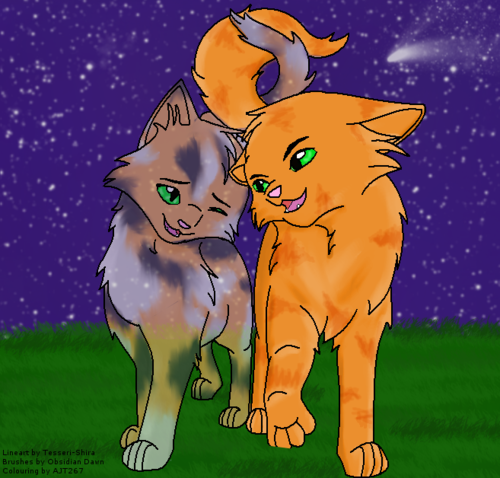 Wallpaper and background images in the Fanpop Anime club tagged: cats. This Fanpop Anime photo might contain anime, comic book, manga, and cartoon.